Jay Scott is a man of many hats and many hobbies. 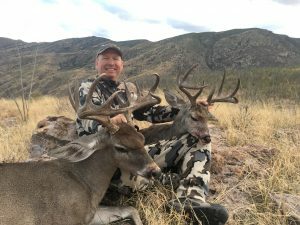 When he’s not busy hosting one of the most successful outdoor podcasts, “Jay Scott Outdoors,” he can be found guiding big game hunters in Arizona, outfitting Coues deer and Goulds turkey in Mexico, or tossing dries on a stream in Colorado. 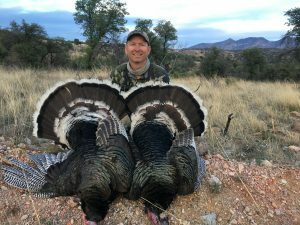 In addition to helping other hunters expand their knowledge base or harvest the animal of a lifetime, Jay is also the hunt manager for the Aught Six Ranch in Colorado, as well as a successful Real Estate agent. A highly accomplished big game hunter in his own right, Jay will hunt sheep for himself for the first time this fall on back-to-back hunts in the far north, having booked a hunt in the Northwest Territories and drawn a special once-in-a-lifetime permit in Alaska. What’s your philosophy on gear? What made you choose KUIU? I wanted to use the best possible gear that was the lightest weight. I believe in Jason Hairston and his drive to make the best products on the market. I know him and his crew leave no stone unturned when it comes to making the best and lightest weight gear on the market. I have never seen someone so focused on wanting to seek out the best materials and bring them to market. How did you get started outfitting? Did you start off as guide first? 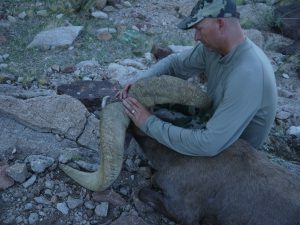 I got my guide’s license in 1997 and in Arizona you can be the guide and outfitter at the same time. 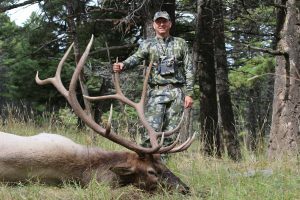 I basically wanted to hunt more in the best units for elk and in Arizona it is so difficult to draw a tag. Guiding was an easy solution to get my fix. What’s the most challenging hunt you’ve been part of—either guiding or for yourself? 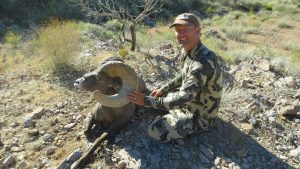 Most of the Arizona Raffle Sheep hunts are the most challenging because of the pressure to find the best animals for our clients. 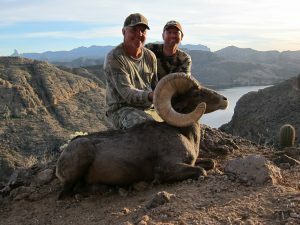 We were fortunate to guide the Arizona Raffle Desert Sheep tag 4 out of 5 years and our clients have taken some fantastic rams. What’s the most unconventional piece of must-have gear that most people would be surprised to find in your pack? I use a cheap cotton white tube sock to cover my spotting scope. I also wear the biggest, ugliest sombrero-style floppy hat I can find to keep the sun off of me. What advice do you give to clients before they come on a hunt with you? To prepare mentally and physically for a marathon, not a sprint. To realize that there will be a lot of pain before it all comes together. And to make sure they are coming with realistic expectations of themselves, the hunt, and the situation. How do you stay in shape? What is your fitness routine? Do you change that routine at all in preparation for hunting season? I don’t have much off an off season so I usually stay in decent shape. I hike year around in the mountains around my home in Scottsdale, AZ. June, July and August I do a lot of hiking in the mountains of Colorado at elevations between 9,000-12,000 feet, which is where I spend the summer. When you aren’t guiding, what’s your favorite animal to hunt for yourself? My wife always answers that question by saying whatever season is open determines my favorite animal to hunt. 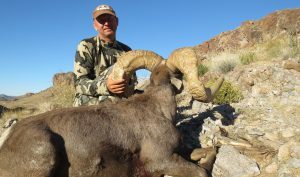 I love Desert Sheep, Coues, Elk and Wild Turkey. 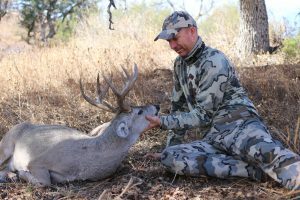 When it comes to hunting, what’s more challenging: the mental or the physical? I think the mental grind is by far the most challenging because your mind tends to soften and play tricks on you. The best hunters I know are also some of the most mentally tough guys I know. As I get older I think the physical aspect will become just as important. What’s your favorite wild game to eat and how do you prepare it? I love elk steaks grilled with black pepper and a little salt. What optics do you use? Straight or angled? I am a Swarovski Optik guy through and through. I have owned 8.5, 10, 12 and 15X. The Swarovski 95mm 30-70mm spotting scope is by far the best scope I have ever looked through. It also takes phenomenal digiscoping photos with the TLS APO adapter. I definitely like the straight spotter because my target acquisition is much faster and more efficient. There are a lot of opinions on what makes a good guide. What makes a good client? A good client is one who allows the guide to do his or her thing and not ask questions in the heat of the moment. A good client must have a great attitude in order to withstand the grind of a grueling hunt. With that being said, a guide’s job is to set the tone of the hunt and keep things fun and to be respectful of your clients–always. What’s the best advice you can give new guides looking to get in the business? What do you know now that you wish someone would have told you when you first started? Be a professional at all times. Don’t talk about your client and the mistakes they are making because the reality is, we are all human. They are hiring you for a reason. I have heard guides talking badly about their clients, and it makes me sick. In my opinion, the level of professionalism needs to really be stepped up across the board in the guiding profession. I know now that the experience of the hunt is more important than the size of the trophy. If your client isn’t having fun, then it will taint the whole hunt. You guide for a variety of species. 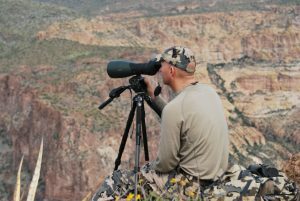 What KUIU systems do you use for turkey, coues, sheep and elk? 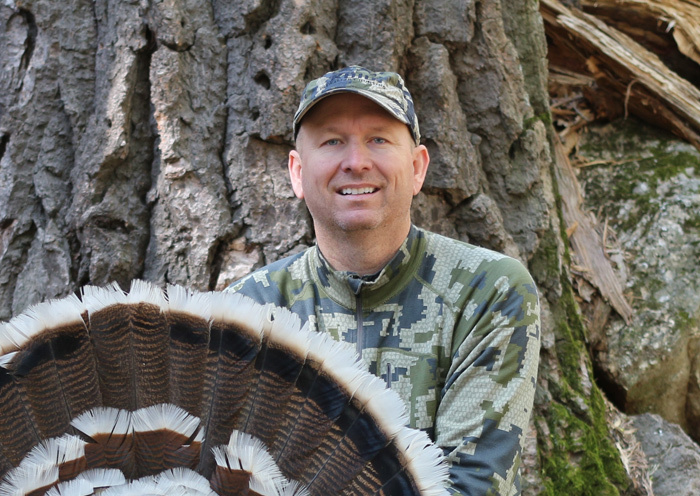 I run the Tiburon pants and ULTRA Merino long sleeve shirts on my warm weather hunts. 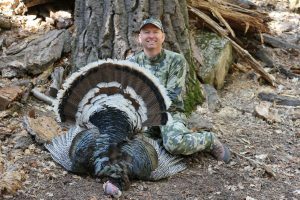 For deer and sheep and colder weather hunts, I run the Guide Pant, ULTRA Merino 145 and the ULTRA Merino 210, the Super Down ULTRA Vest and/or the Super Down ULTRA Jacket. I always find myself wearing the KUIU Peloton 200 Balaclava on all hunts to keep the sun off of my skin. The Chugach NX Rain Gear is unreal with the breathability and stretch. How did you get started with your podcast? What has come about from it for you that you maybe didn’t first expect? I saw my friends Steve Rinella and Janis Putelis from MEATEATER launch their pilot podcast episode and it made me think that I could do a western hunting and fishing podcast. I was also a guest on Korby Taylor’s Wild Game Hunting podcast and we talked about elk hunting. I can talk for hours about the things I love to do. I really didn’t think 5 people would listen at first but after a couple of episodes it dawned on me that it might be a success. I enjoy the process of hunting and fishing and I am a student of the game. 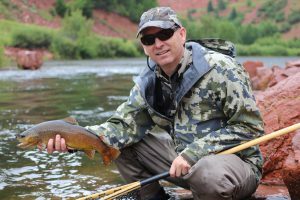 I love to learn from my guests who are some of the best hunters and fisherman in the world. I literally have the best job because I ask them the questions that I want to know the answer to. The focus of my podcast is education and information. I try to be as detailed as possible. I have been so blessed with unbelievable support from my listeners and my sponsors. Do you have a favorite animal and/or area that you guide? I love unit 22 for Mexican Desert Bighorn, Unit 15D for Nelsoni Desert Bighorn, Sonora Mexico for Coues Deer and for Gould’s turkeys. You’ve hunted a lot in the Southwest. Do you have a “bucket list” hunt? Where will your next adventure take you? My dream is to take a Dall or Stone Sheep someday. I think about it all of the time. I would love to see the country that those sheep live in. It gives me chills just thinking about it. I actually have two Dall Sheep hunts this summer in 2018. The first is with Arctic Red River Outfitters in the NWT and then I drew a Dall Sheep hunt in the Chugach Range, Alaska with Lance Kronberger of Freelance Outdoor Adventures in August. Give us some tips on judging sheep. Why is the age of the ram so important when it comes to choosing a ram to harvest? 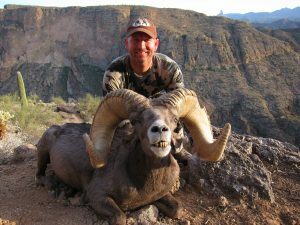 Age is something that is important because sheep are a limited resource, and in order to keep the populations thriving for the next sportsman to enjoy we must shoot the older, most mature rams. Field judging sheep is something I love to study because I learn new things all of the time. A couple of tips are big rams never look small. I like to see horns come high off the head then go straight back and then down and then forward and then tipping up as much as possible. 60% of a sheep’s score is mass but in order to be a really big ram you have to have length. Remember that lots of length can hide the mass so be careful. Also, it is virtually impossible to be accurate when a ram is standing by himself. The best sheep judge in the world can make a very costly mistake if you attempt to judge them alone without other rams around. You need a lot of volume in a horn for it to be big. It is super important to start with big bases. Very rarely will a small-based ram be big. My goal when guiding in a sheep unit is to try seeing every single ram in the unit and taking his photo or getting video. Then I like to compare them on the computer screen with side-by-side images. We probably over analyze but I hate to be wrong so it makes me super analytical. The Southwest can be fairly remote. You deal with some weather conditions and terrain that are incredibly unique to that area. What are some the challenges this creates for you as a hunter and as a guide? In the southwest, the terrain and vegetation is unforgiving from the rocks to the cactus that we encounter. The weather can be 30 degrees in the morning and 95 degrees during the middle of the day. Water is a huge factor on a lot of our hunts. We have to pack a lot of water on our backs most times because we don’t have the luxury of having live water around. Really enjoyed this new feature on your website. Keep up the good work. I think this could be expanded to discuss all aspects of hunting, equipment and prep. Thanks.